Jazz in Progress will perform at the Ellwood House Museum at 7 p.m. Wednesday. 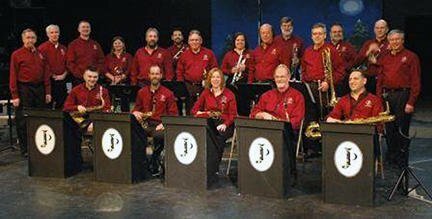 The Ellwood House Museum, FunME Events and Kishwaukee Fest will present “Big Band at the Mansion,” the third and final installment in the Music at the Mansion summer concert series, at 7 p.m. Wednesday. Jazz in Progress will perform a 90-minute concert on the front porch of the historic Ellwood Mansion. The concert is open to the public and free to attend. Jazz in Progress was formed for musical and educational purposes to support its mission of advancing the appreciation, performance and history of jazz music and its related genres. Its membership includes a variety of musicians from the DeKalb County area. The 17-piece group is well known for its sounds of light jazz, big band and American standards. Visitors are welcome to bring a lawn chair or blanket. Light refreshments will be available to purchase from local Boy Scout Troop 33.